Many of our patients wish to remedy crooked teeth or biting irregularities but don’t want to wear traditional braces, which they may feel to be inconvenient or unattractive. We have an extraordinary solution for such patients: orthodontics with Invisalign invisible braces. If you’re interested in enhancing the form and function of your smile, talk to us today about your goals and our top orthodontist can help you determine if Invisalign is right for you. Invisalign is an innovative orthodontic solution that uses no metal wires, brackets, or other such devices. With Invisalign, patients wear a series of clear plastic aligners that gradually move their teeth into the optimal positions—quickly, comfortably, and discreetly. We will evaluate your smile and your bite to determine if Invisalign or another method can provide the optimal outcome for you. In many cases, Invisalign can address the same issues as braces; however, not everyone will be an ideal candidate. Your treatment is our top priority, and we will work with you to identify the best course of action for your needs, goals, and lifestyle. While Invisalign and traditional metal braces are both designed to correct malocclusion (bad bite) and misalignment, they have a number of differences that can make one or the other a better choice for you. Invisalign uses no metal parts, only clear aligner trays that gradually shift the position of your teeth. Invisalign is also removable and inconspicuous, appearing nearly invisible when worn. Both options can address a wide range of orthodontic concerns; however, certain complex treatment plans may be better suited for correction by traditional braces than by Invisalign. Our elite team of dentists and orthodontists will help you determine the best course of action with your care, comfort, and results as our top priorities. For patients at our practice, orthodontic treatment with Invisalign invisible braces begins with a consultation. When you meet our dentists for your initial consultation, they will discuss your treatment goals and give you a full overview of the entire Invisalign realignment process. Then impressions are made which will be sent to a specialized lab that will manufacture your custom aligners. Patients wear their Invisalign aligners for two to four weeks and then move on to the next set of aligners in order to gradually change the positioning of their teeth. The aligners are worn day and night but are removable for eating, brushing, and flossing. Most of our patients complete their Invisalign invisible braces orthodontics program in about a year, and some achieve straight smiles in as little as six months. Of course, treatment time varies with each patient’s specific needs, and our doctors can help you establish realistic expectations. Because Invisalign aligners are made out of clear plastic, most people don’t even notice that our patients are wearing them. Another benefit that patients enjoy with Invisalign invisible braces is that they do not have to disrupt their lifestyle at all, as may be the case with traditional metal brackets. If you are interested in Invisalign orthodontics, contact Scripps Center for Dental Care to schedule a consultation. In addition to traditional Invisalign, we also offer a version designed for the unique needs of adolescents. 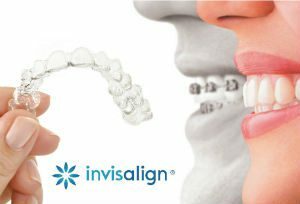 Invisalign Teen works exactly like original Invisalign; it gently and gradually shifts the teeth into the optimal location using a series of clear aligner trays. Many teens prefer Invisalign for the same reasons adults do: the aligners are clear, removable, easy to take care of, more comfortable than metal braces, and effective. If your adolescent is in need of orthodontic treatment, we can discuss whether Invisalign Teen is the right approach for them at their initial consultation. For the fastest treatment possible, you must wear the aligners at all times when you’re not eating, drinking, brushing, or flossing. If worn consistently, most patients can complete the treatment in as little as 9 to 15 months. New innovations in the aligners can speed up this estimate, often making Invisalign a far more efficient system than traditional braces. During your initial consultation, we will give an estimate of the expected treatment time and provide advice on how to have the best experience. We customize your treatment plan based on the concerns you wish to treat, the complexity of your case, the number of aligners needed to achieve your goals, and other factors unique to you. Generally speaking, the price of Invisalign can range from about $3,500 to around $8,000, and we will go over all of your options and considerations, as well as the price, during your initial consultation. If you have dental insurance that offers a reduced cost for traditional braces, Invisalign is often included in that coverage, although you should check with your provider to confirm. We also accept a range of payment types and offer dental financing options for individuals who wish to pay installments. 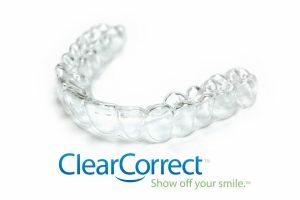 We offer ClearCorrect clear aligners as well as Invisalign. These removable devices provide virtually invisible teeth straightening over a period of months using a series of aligner trays. 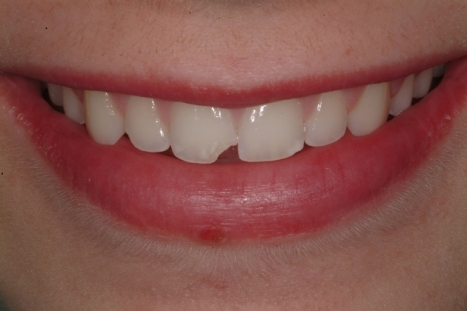 In addition to improving the appearance of the smile, this technique can address functional concerns such as bite misalignment (called malocclusion) and crowded teeth. Optimizing the positioning of the teeth can make eating and speaking feel more comfortable and improve the effect of brushing and flossing. ClearCorrect is based in America and all the products are designed and manufactured in the United States. 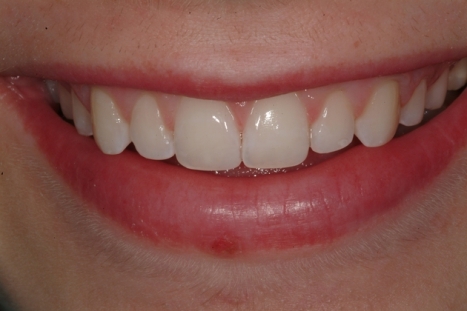 Invisalign and ClearCorrect work very similarly with only a few differences in the approach to treatment. With ClearCorrect, patients wear each set of aligners for three weeks; Invisalign aligners are worn for approximately two weeks. ClearCorrect can appear more translucent to some people, and may be more resistant to clouding from wear. That said, ClearCorrect treatment can take up to two years, while many patients complete Invisalign treatment in around one year. As with all orthodontic treatment plans at Scripps Center for Dental Care, ClearCorrect will be customized to suit your anatomic needs and cosmetic goals. Both ClearCorrect and Invisalign can achieve excellent results, and the right approach for you will be determined during your initial consultation. WHAT ARE MY ALTERNATIVES TO INVISALIGN®? For patients who wish to undergo other cosmetic dentistry procedures as well, we offer sedation dentistry, which allows patients to relax in comfort for the duration of their treatments. Many of our patients who undergo orthodontic treatment also choose to undergo teeth whitening in order to give their newly straightened smiles a dazzling glow. You can keep Invisalign aligners in good condition by gently brushing them with toothpaste and lukewarm water. Avoid using hot water, as this can warp the shape of the plastic. Also, we recommend brushing your teeth after every meal and before wearing your aligners to prevent staining from pasta sauce, blueberries, cola, or other food and drink. Patients often don’t report pain from Invisalign braces, but there may be a short period in which you become accustomed to the feeling of wearing your aligners. Most men and women become acclimated within the first few days of treatment, and the gentle pressure of the aligners is typically a sign that Invisalign is working. Can Invisalign treat just my top or bottom teeth? Limited Invisalign treatment is certainly possible, but in most cases, correcting both rows of teeth is the most efficient solution to ensure a healthy bite. When your teeth are only straightened in the top or the bottom arch respectively, alignment issues can occur if the untreated row of teeth is not also repositioned to accommodate the changes. Our orthodontists aim to achieve straight teeth and a proper bite for the best long-term results possible, not just for temporary aesthetic improvement. However, all cases are treated on a patient to patient basis, and our orthodontist will help formulate the most effective plan for your needs. Since the Invisalign system does not involve the possibility of metal brackets or wires breaking, these aligners can often achieve the desired result faster than metal braces. The average treatment time for Invisalign is roughly 12 months, while traditional orthodontics can sometimes take up to 18 months. You can reduce the length of your treatment by wearing your aligners at all times, except when eating or cleaning the teeth. Will I need a retainer after Invisalign? Yes, wearing a retainer after Invisalign helps keep your teeth in the correct positioning and prevents them from shifting back to their original state. Fortunately, it’s only necessary to wear retainers at night while asleep, as opposed to all day. Does at-home teeth straightening work? Any orthodontic treatment that moves the teeth and jaw without the direct supervision of a trained dentist or orthodontist can pose a great risk to your health and appearance. Because do-it-yourself systems fail to evaluate your jaw structure with x-rays, assess your gum and bone stability, or weigh your risk for cavities—which increases with any orthodontic treatment—at-home teeth straightening is often ineffective and can even cause significant damage to your smile and oral health. To learn more about any of the orthodontic treatments available at Scripps Center for Dental Care, including Invisalign and ClearCorrect, please contact our office today. We can answer your questions or help you schedule an appointment with our top orthodontist.